From the national reach to the academic impact, this one-page sheet gives you an overview of the difference that Accelerate Institute leaders are making across the United States. 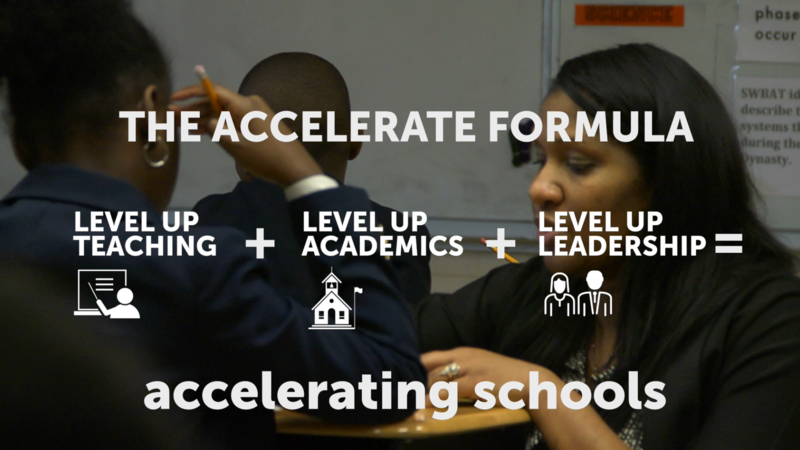 This poster is a great way to keep the rationale for the Accelerate Institute Framework at-the-ready in your office. These key points act as reminders when you are making tough decisions and need to prioritize your focus. Here is a snapshot of the six Objectives of the Accelerate Framework and how they help guide the transformation of schools: Change Management, High-Performing Team, Constructive Environment, Aspirational Environment, Data-Driven Culture and Black-Belt Teaching. This visual can be kept at-the-ready to help you remember the key objectives that a school must achieve in order to close the achievement gap for students. This is a perfect roadmap for leaders and anyone who wishes to measure up their school to a proven approach that has delivered impressive results for countless schools across the U.S. Keep this chart at-the-ready in your office and review the objectives and drivers that make up the to make sure your school—and your plan—are on track. What characteristics make up truly transformational leaders? Download this poster, and you’ll have a handy reference that illustrates the 8 characteristics needed to be a transformational leader along with descriptions giving you more insight into what each characteristic means. Here are all four of the documents above in one handy downloadable PDF. 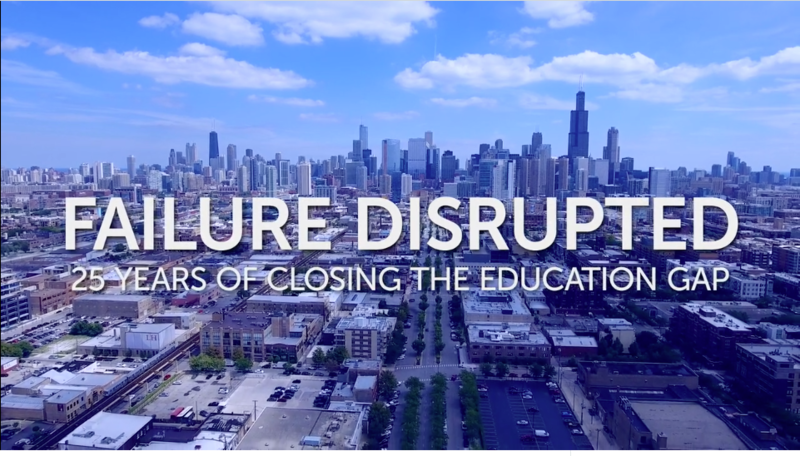 Pat Ryan, founder of Accelerate Institute, says Lennie, "...really understood intuitively what it took to create a school that would allow children to achieve their fullest potential and how to make it work in the community we were serving." 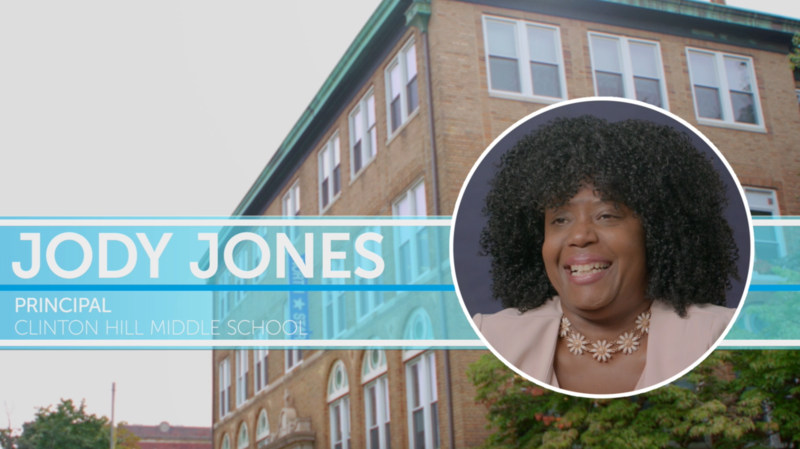 Go inside Alain Locke Charter School in this case study and see what makes Lennie Jones so special—and very effective at closing the achievement gap. Dawn Sandoval is a 2012 Ryan Fellow who is tireless in her pursuit of academic excellence. Colleagues have a hard time keeping up with Ms. Sandoval as she continues on her mission to make Catalyst-Maria High School and its students the best they can be. It wasn't always easy, either. Discover what Dawn learned in her first year, and how she used that experience to propel her students to great success. 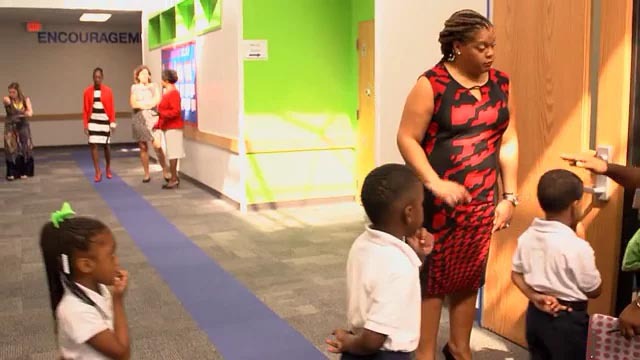 Take a journey to Foundations College Prep in Chicago’s Roseland neighborhood to discover how teachers and students are working together to excel every day. Led by Sarah Hunko Baker, a Ryan Fellow principal, you'll learn how the approach at Foundations is focused on getting the best results with a plan designed around technology, data and expert planning. 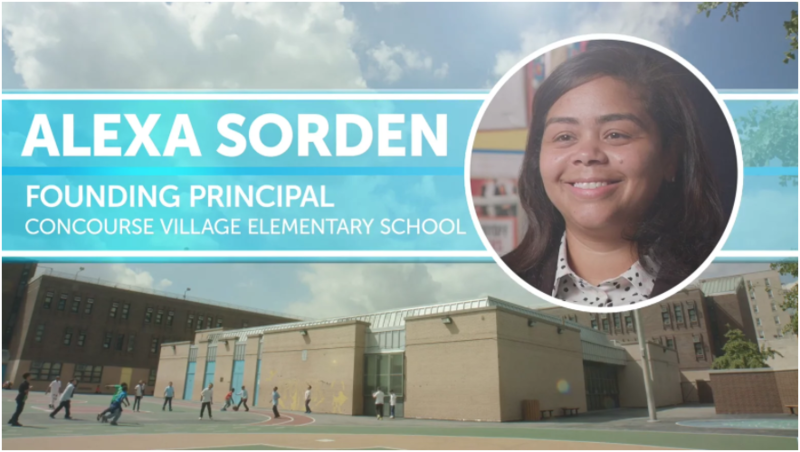 This detailed case study gives you an insider look at how Eva Stevens, principal of Heatherbrae Elementary, leverages all three of the Accelerate Institute Cornerstones to continue to improve the school year after year. You'll see how she helped transform the team she inherited, put new systems and structures in place, and earned a reputation as one of the most respected leaders in her field. Her hard work and passion earned her a Ryan Award in 2014, as well. Get an in-depth look at how Ryan Award Winner, Michael Mann, is doing great things in New Jersey. And even though his school is very successful, it's Mann's deep commitment to closing the achievement gap that keeps him always on the lookout for ways to improve, and different areas to grow. In a community where the school is almost a second home for many of its students, you'll see just how important Michael Mann is to his students and the success they're enjoying. Tamika Draper, Director of School Quality at National Heritage Academies, sums up 2014 Ryan Award Winner Melissa Jones Clarke best: "Any time we wanted to talk about school culture or how do you successfully open a new school in an urban environment, we visited Atlanta Heights Charter School to see the work that (she) was doing." Download this case study today and find out why. 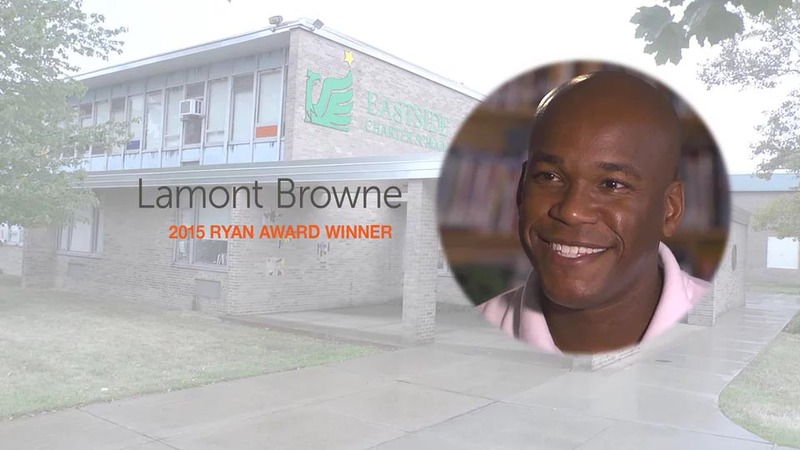 Go inside EastSide and see how Lamont Browne, a 2015 Ryan Award Winner, was able to boost the school to its highest achievement levels ever. Discover the “importance of yet” and how the little things add up to make for a brighter future at the school. Find out how a former corporate turnaround consultant—who can also breakdance—was able to transform his school into one of the biggest success stories in the nation. Tyson Kane founded Chicago Bulls Prep in 2009 and has made it his mission since the very first day to empower his team and engage his students. It’s an approach that earned him a 2015 Ryan Award, and this case study makes it easy to see why he was chosen. 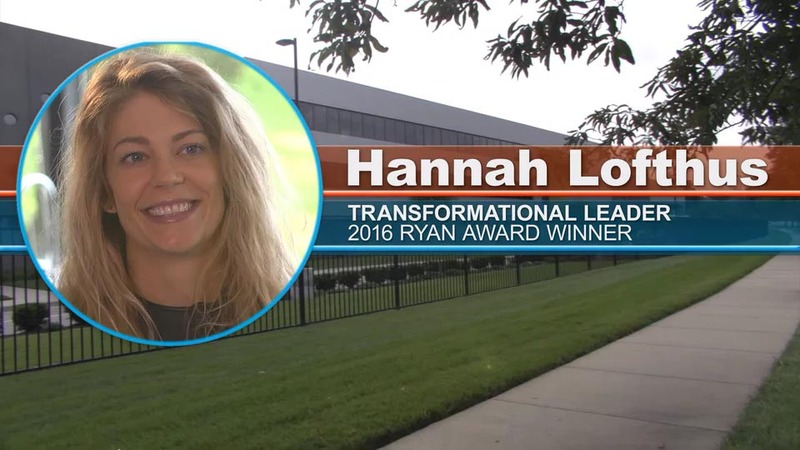 Ms. Lofthus, a 2016 Ryan Award recipient, understands you cannot just copy parts of a successful school and expect the same results. This case study takes you inside her school to show how she ensured her vision of success was felt by everyone. In her first full year as principal, Ms. Howarth’s students posted double-digit increases on state scores, more than doubling their state math and science results. And that was just the beginning. Go inside this 2016 Ryan Award winner’s school to see how transparency was the first step in getting there. What drives Michael Mann? It's not hard to figure out: he has a continual need to improve the education and opportunities for his students at his Newark school. Read about how his approach—and the ensuing results he achieved—garnered him a 2014 Ryan Award. The daughter of a teacher, Stevens says school has always been a happy place for her—and she knew from a young age she also would become a teacher. Follow her journey at Heatherbrae Elementary from 2000 up until she won a coveted Ryan Award in 2014. During her tenure at Atlanta Heights, Clarke helped pull her students, who arrived years below grade level, up to new levels. It was that work, combined with her passion and unwavering respect of her peers, which earned her a 2014 Ryan Award. In Mr. Kane’s six years at the helm of Bulls Prep, his students have performed at consistently high levels, with 100 percent of its graduates being accepted to four-year universities, including Harvard University, Northwestern University, and the University of Chicago. Read more about this high-performing school and the social media sensation who leads them to success. Hannah Lofthus believes all children are capable of meeting high academic expectations when they are in the right educational environment. 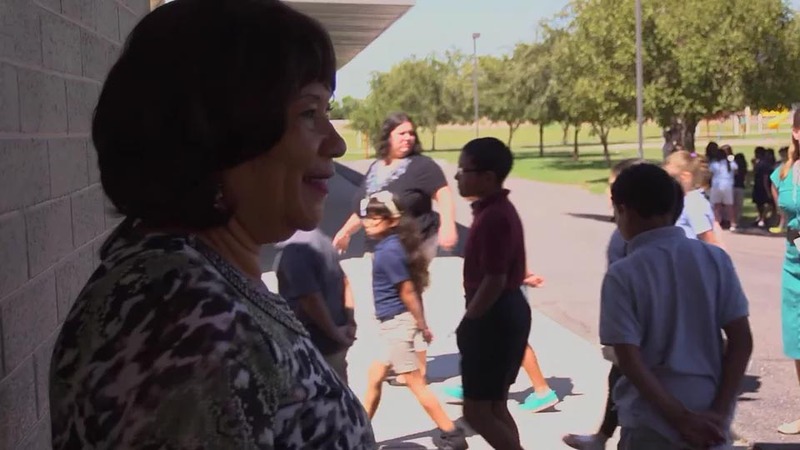 Her commitment to offering students and families in her community an excellent education on par with the best schools nationwide earned her national recognition when she received the Ryan Award in 2016. 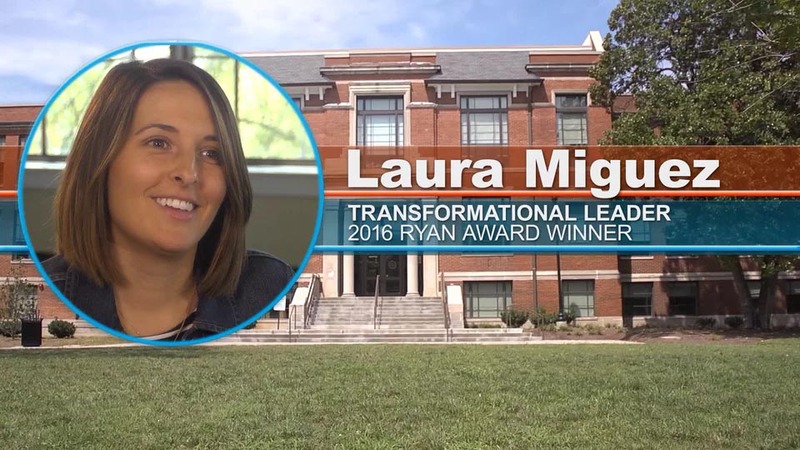 By focusing on transparency, Laura Miguez Howarth transformed her school. 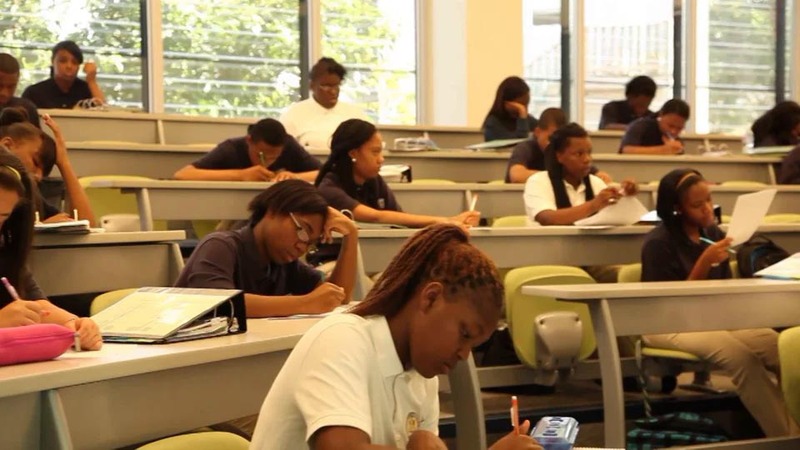 Today, KIPP Academy Nashville is a Tennessee Reward School, a distinction given to the top 5 percent of Tennessee schools for year-over-year progress. She is a 2016 Ryan Award recipient. “We don’t have to accept that things have to be the way everybody says they have to be.” That’s school leader Elizabeth Vandlik talking about her approach to transforming her school, Success Academy Bronx 1, in New York City. Read about how Vandlik and her staff have thought through every moment of the day and what it should look like, and how that has lead the school to new levels of success. Success stories from across the U.S. The following case studies will give you insights on what works...what’s different...what’s next...and show you some impressive leaders who are closing the achievement gap. Showing students a clear path to succeed by investing in them and setting expectations. How clarity of mission can help not just the students but also be instrumental in finding the right candidates to teach at your school. Discover how a focused mission and leadership that goes beyond routine can raise student achievements. 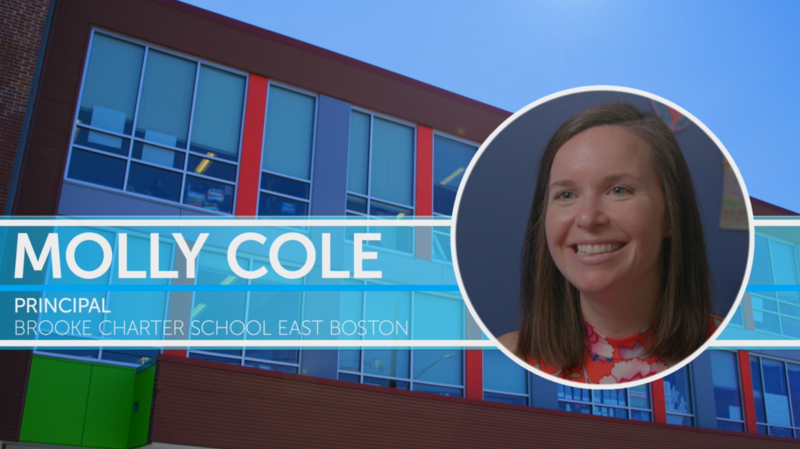 Using data to focus on teacher development is just one key component to success at this school. How does the Core Knowledge curriculum fit into this school’s model—and what makes their approach work? How to motivate staff and overcome barriers as a team at a struggling school—and turning it into a success. 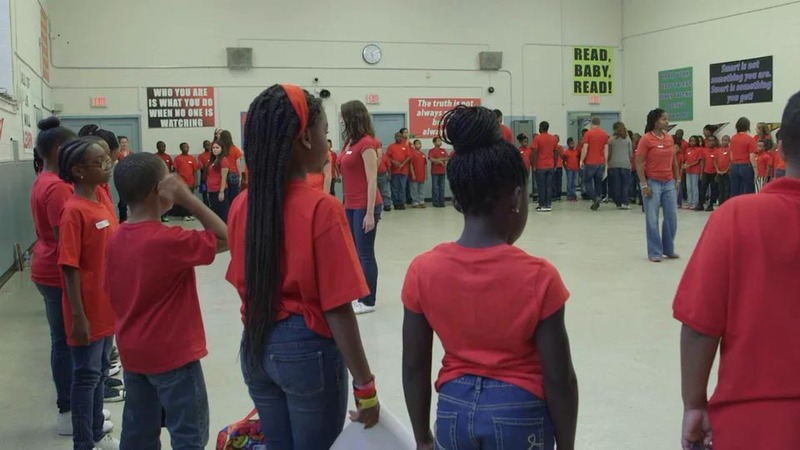 Focusing on data-driven instruction and The Match Corps made all the difference here. 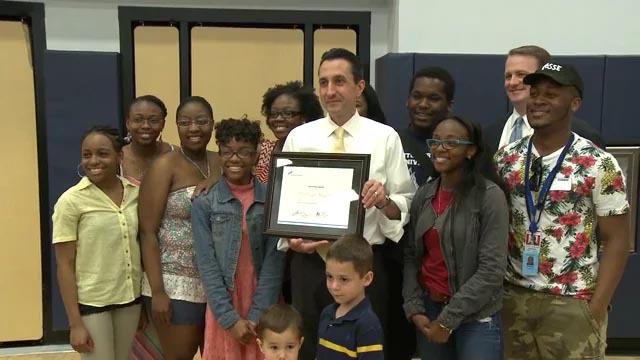 From a dedication to data to refining the hiring process, school founder Ben Marcovitz is at the center of it all.